Submissions for the 2018/19 grant cycle are now closed. 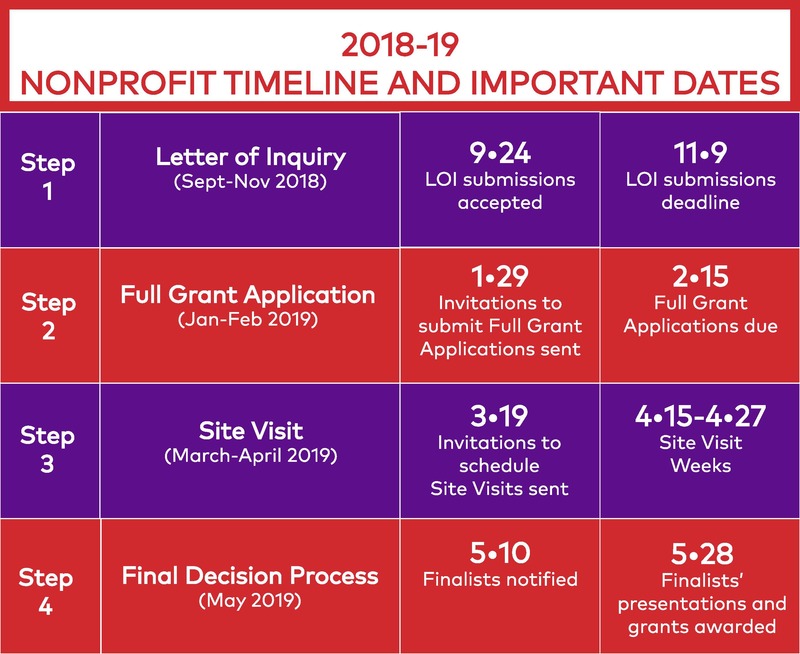 Please check back in the Fall of 2019 for our 2019-20 grant opportunity. To learn more about our grants, please click here: About Our Grant.